Gone are the days when the Healthcare industry is managed like a government owned organization. 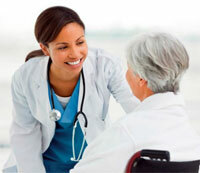 Today's healthcare industry is competitive, sophisticated and of course, global. Apart from just providing healthcare related services, Hospitals today need to focus on patient engagement to create the "customer relationship" much needed to stay relevant in the market. A patient centric approach is much required as patients today demands total healthcare service and not just "one off" visits.